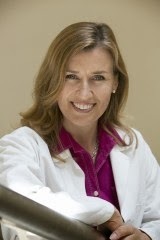 Dr. Hanna Mikkola and researchers at the UCLA's Eli and Edythe Broad Center of Regenerative Medicine and Stem Cell Research announced today that they have identified a novel progenitor cell and a related cell communication pathway that are key to the successful growth of a healthy placenta. Led by Dr. Mikkola, associate professor of molecular, cell, and developmental biology in the life sciences, and Dr. Masaya Ueno, post-doctoral fellow, the team's discovery gives scientists a "tool box" for understanding the developmental hierarchy of progenitor cells, cells that develop into other cells, that initiate growth of the placenta, and greatly increases the knowledge of what might cause pregnancy complications. 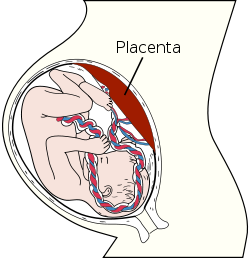 The placenta is the organ that provides transition of blood supply and nutrients from mother to fetus during pregnancy. Little is understood about the biological mechanisms and cellular processes responsible for the development of the placental exchange interface. Mikkola and her colleagues studied mouse models that enable tracking the fate of single cells in the placenta to determine which cells and which cell communication routes, or signaling pathways, were responsible for the healthy development of the placenta. 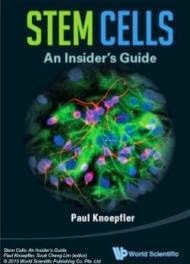 The researchers found a cell called the Epcamhi labyrinth trophoblast progenitor or LaTP, which like multipotent adult or tissue-specific stem cells can become the daughter cells necessary to form a specific tissue, in this case the placenta. Mikkola and colleagues also found that a signaling pathway consisting of Hgf (hepatocyte growth factor) and its receptor c-Met, a pathway for cells to share important biological messages, was required for the placenta to keep making LaTP cells and their differentiated progeny during mid-gestation, thus enabling a healthy exchange with the mother as the fetus develops. When c-Met signaling was lost, fetal growth was restricted, the liver remained underdeveloped and produced fewer blood cells, and the fetus died. "Identification of this novel c-Met-dependent multipotent labyrinth trophoblast progenitor provides a new landmark that may help us understand pregnancy complications caused by defective placental exchange." Mikkola said.